Basic Composition: Build for classy Firecrest running just enough stamina to stay competitive in the current meta and rolling 2 x electronics and 1 x firearms for some damage from weapons. This hits circa 6,000 electronics to keep NPC's on fire for longer and make more use of the the 15% increased damage to targets on fire. Does feel like this buff extends to players as seen in video, but can't say with any certainty. Rolling all turret damage performance mods to further eek out maximum damage from the turret and with 40% skill haste this allows for you to re-position the turret regularly in tandem with the weapon skills. Roll skill power on mask and backpack to get the skill power to over 200,000. This build is kind of in a keep safe right now as i'm certain the turret damage modifier will be increased back up from it's recent 65% nerf. The likelihood of a 35-45% increase is expected so expect this build to excel further down the line, although it is competitive to some extent now. 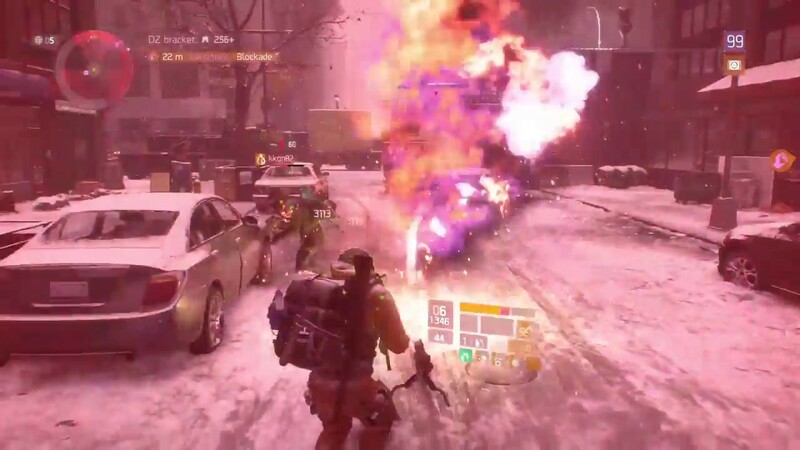 The build needs maximum up time on the fire status to make up for the lack of damage and the mdr's "distracted" talent ( 18% damage to enemies under status effects) paired with the firecrest 4 piece (15% damage to targets on fire) means it can put out some decent damages when the circumstances permit. Urban MDR; Great utility weapon and the exotic talent "Distracted" ( 18% damage against enemies under status effects) paired with the firecrest four piece talent ( 15% damage against targets on fire) means you can pump out some decent damage. Getting a kill to proc talented before dropping the turret or station to gain a 20% skill power buff is very powerful here. Focused talent on the weapon helps as it's mainly used to start engagements at mid-long range and keep it's damage up after using a skill to focus targets on fire where you can fire from cover. The House; Secondary for when you're in close range and the RoF can often proc the 6 piece buff of setting players/enemies on fire quite often. The pairing of competent and determined paired with the 40% skill haste is the best combination here to give a constant small damage boost and super quick cooldowns. X-45; Standard hardly used side arm with toxic to proc an extra status effects on targets. Toxic can be swapped with harmful and you can throw coolheaded into the mix too. Can also use a double barrel with predatory and other healing talents instead should that be more your cup of tea. Fire turret is an obvious one as the build is focused around it. You'll want wildfire as a player talent for sure, but you don't techincally need tech support as the cooldown due to skill power and haste means the turret is back up before it expires manually. I use tech support more for the support station, but that can be swapped out for triage, strike back, precision or police up. Death by Proxy paired with talented makes for some serious skill power increase in most content to it stays on the build consistently. It's one of those that can be swapped out however, if there isn't much chance to make use of it in the DZ. Other really is down to you. Most will go with the immunize support station to battle the constant struggle of setting yourself on fire. With the burn resistance very high it gives more room to run booster shoot, which heals well at 200k skill power with no self aid heal mods but with 4 of them it heals from half a bar to full health so a good option if you want to exchange out the turret damage mods. Air burst seekers are another great skill if your in a group with a dedicated healer in PvP or PvE or run a strong pulse when in the DZ. Best use of Ult is to go with Survivor when solo to get out of dodge and reposition and any option really to fill the void when in a team.